Morocco international Adel Taarabt has returned to Benfica first-team training after a seven-month spell with the reserves, manager Bruno Lage has confirmed. The 29-year-old midfielder signed for Portuguese side Benfica in June 2015 after having his Queens Park Rangers contract terminated by mutual consent. Unable to break into the first team he opted for an 18-month loan stint at Italian club Genoa, but was demoted to Benfica's reserve team on his return in June 2017. Lage, who took over the team in early January, has praised the improved attitude of Taarabt and offered him a lifeline. "He [Taarabt] started the season at the B team. I did not know him, I had heard stories about his past, but what I saw was a player who always trained well, with the intensity I like," Lage confirmed at a press conference. "I must hand him opportunities, we will see if we can create that opportunity and if he grabs it once and for all to make a career according to his potential." 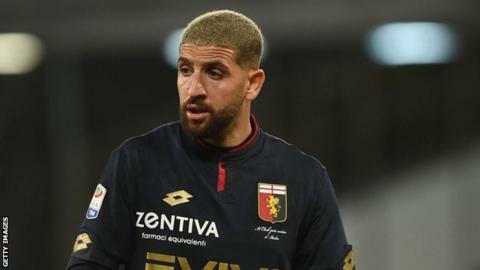 Taarabt who has previously played for Tottenham Hotspur, Fulham and AC Milan is yet to make a competitive appearance for the Benfica first team. A creative midfielder, his career has been blighted by criticism from managers and former QPR boss Neil Warnock opted for "talented, exciting and frustrating" when asked to describe his then captain Adel Taarabt in three words. Taarabt was criticised by then-QPR manager Harry Redknapp in October 2014 for being "about three stone overweight" but he played five times after Redknapp was replaced as boss by Chris Ramsey in February 2015. At international level, he had been embroiled in controversy - he walked out on the Morocco side in mid-2011 when the then coach Eric Gerets benched him for a key Nations Cup qualifier. He has four goals in 17 appearances for the Atlas Lions, but his last appearance for the North Africans was in a friendly against Gabon in March 2014.